These accidents mostly involve children. 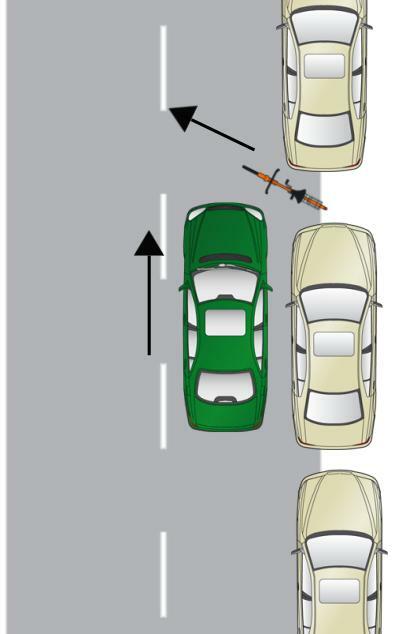 It occurs when a cyclist rides out into traffic, often darting out between two parked cars into the road. It can also occur when a cyclist is coming out of a driveway or an intersection and pulls right out into traffic. Stress to your child the importance of being extra careful when riding near roads. If an adult is the cyclist this scenario is almost always caused by simple inattention. Be alert at all times. If the cyclist is an adult, the cyclist is almost always at fault. Even so, a jury or a judge makes the ultimate determination of whether the car was negligent and whether the cyclist was contributorily negligent. If the cyclist is a child then it is not so clear. In Virginia children are held to a different standard than adults in that they sometimes cannot be found negligent or contributorily negligent. For children, the standard of contributory negligence is different. Under Virginia law, a child under the age of seven is incapable of being negligent. Children between the ages of seven and fourteen are presumed to be incapable of negligence; however, if the child is deemed capable of understanding the risks of his actions, and his conduct did not conform to that of a reasonably prudent child of the same age, intelligence, maturity, and experience, then a jury can find that child to be contributorily negligent. Again ultimately the decision would be that of the judge or jury deciding the case.